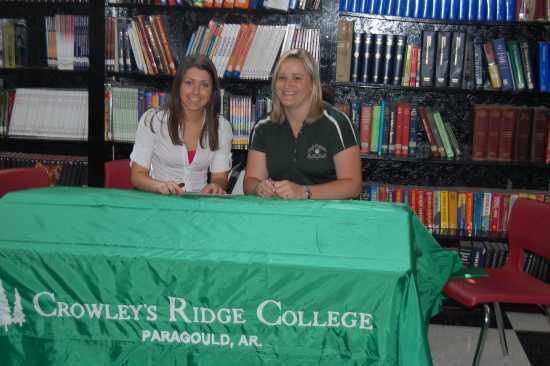 Sherilyn Long, (left) senior at Bell City High School, recently signed to play volleyball at Crowley's Ridge College in Paragould, Arkansas. Sherilyn is pictured here with CRC Volleyball Coach, Cindy Henry. Sherilyn is the daughter of James and Melana Long.